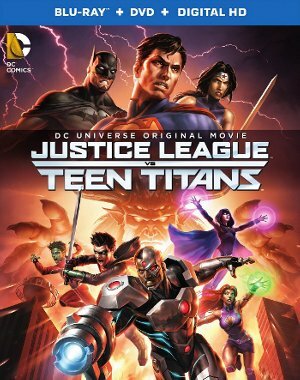 The latest home video release further exploring the characters and world introduced in Son of Batman sends the uncompromising Damian Wayne (Stuart Allan) to the Teen Titans in hopes that Robin may be able to learn teamwork and trust. Borrowing a little from Damien's time with the Teen Titans prior to the New 52 reboot, writers Bryan Q. Miller and Alan Burnett choose to give their spin on a more classic Trigon (Jon Bernthal) story. As with the previous movies, the story lacks the Robin/Red Robin rivalry from the comics, but certainly entertains. Following the pattern of his last two films (Valentine's Day and New Year's Eve) director Garry Marshall's Mother's Day is a cookie-cutter ensemble dramaedy set around a particular holiday. 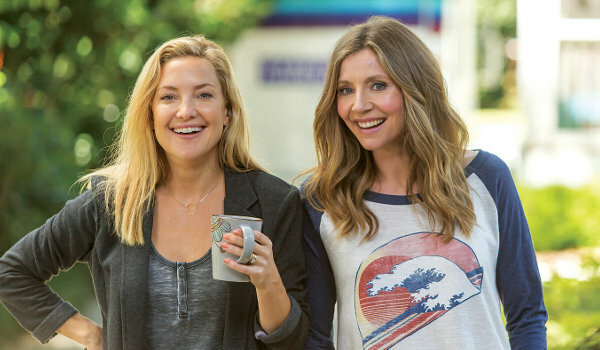 Filled with paper-thin characters who all can be described by a single characteristic who are marginally connected through themes of mothers and their daughters, Mother's Day is a lazy film filled with sitcom humor and blase drama that asks the bare minimum of its cast. If it were a meal, Mother's Day would be a lukewarm McDonald's extra-value meal that no one bothered to put under the heat lamp. If it were a color it would be beige. 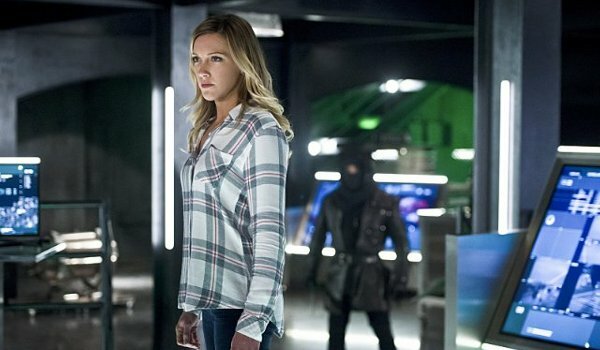 As the members of the team struggle to deal with the death of Laurel (Katie Cassidy) an impulsive young woman (Madison McLaughlin) assumes the identity of Black Canary and begins targeting those she blames for the death of her parents. Whether or not she stays dead, or is eventually resurrected like so many of the characters in the series so far, "Canary Cry" certainly attempts to sell the idea that Laurel isn't coming back (even going so far as to publicly out her as the real Black Canary at her funeral). 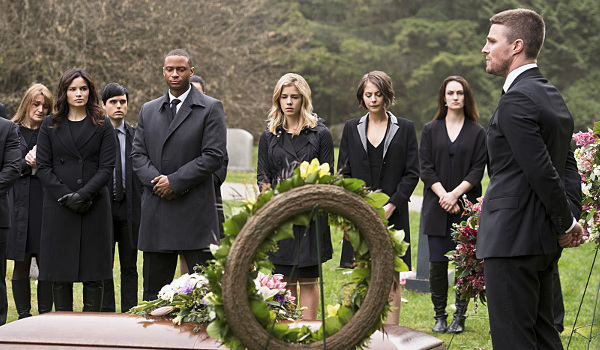 Cassidy does appear in the episode as we get flashbacks of Oliver (Stephen Amell) and Laurel following Tommy's death rather than scenes from the island this week. Steeljack's three-issue arc comes to a close as the former super-villain turned private detective and one-time squeeze Cutlass come up against the arc's true villain: a greedy collector grabbing and using super-villain tech for his own amusement (and to decorate his garish restaurant). Astro City #34 is the weakest issue of the arc but that doesn't mean there isn't still plenty for fans to enjoy including a nice (if a bit hokey) epilogue as dejected Steeljacket is surprised by the support of his friends which helps the man of steel put the entire sordid mess behind him. 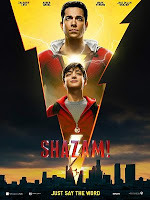 Barry (Grant Gustin) struggles to readjust to life without his speed which proves even more difficult when Harrison Wells (Tom Cavanagh) is kidnapped by a meta-human (Haig Sutherland) while searching for Jesse (Violett Beane). Even without his powers, Barry can't sit back and do nothing. Gathering the team and Jesse together for a little old fashioned police work, and a bit of luck, the Flash races into action (albeit at a much more normal pace). 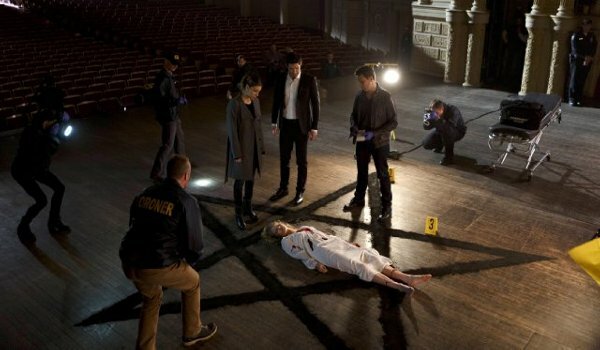 Much like the Sixth Season of The Mentalist, Pretty Little Liars makes the unusual choice to break-up a single season into two separate parts with the first wrapping up the long-running mystery of the series and the second setting up the final season-and-a-half of new situations and newtrouble for our characters. The mid-season mark culminates in the (somewhat disappointing) reveal and capture of CeCe Drake (Vanessa Ray) as A. 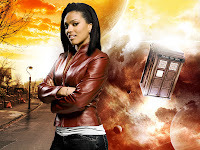 It's obvious that the show's writers had chosen the character to be their villain early in the show's run and chose to stick to their guns, but the lack of Cece's impact in recent years made her choice an odd one six seasons into the series. 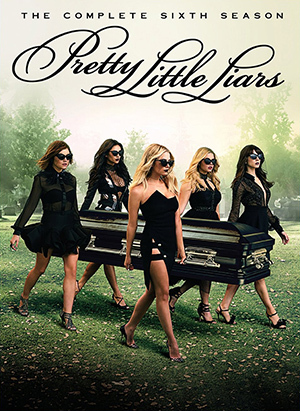 Highlights of the first-half of the season include each of the Liars struggling to deal with their captivity after being captured by A at the end of the previous season, the Liars going to prom, A turning Aria's (Lucy Hale) photography exhibit into another attack at the girls, and the Liars' search for evidence that Charles DiLaurentis is still alive (which leads to the revelation that Charles and CeCe are the same person). Selena Gomez sat down for both an interview and photo shoot for the May issue of GQ Magazine. You can find the pics from the photo shoot and a behind-the-scenes video inside. 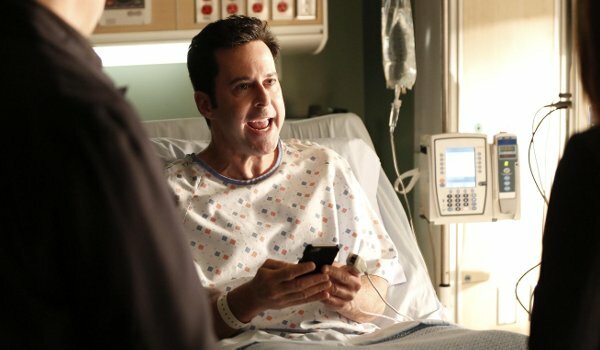 With the threat of LOCKSAT once again looming in the background, Castle goes for goofy in the attempted murder of a safety inspector (Jonathan Silverman) who survives poisoning, electrocution, and being shot in the head. With Castle (Nathan Fillion) consumed by the man's incredible survival, something the writer attributes to super-powers, Beckett (Stana Katic), Ryan (Seamus Dever), and Esposito (Jon Huertas) are more concerned with finding the would-be killer. Can the Devil be redeemed? 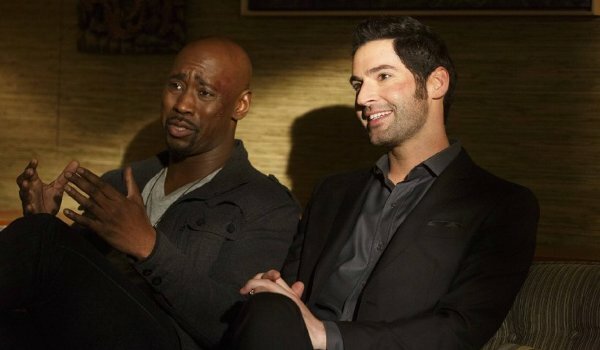 "Take Me Back to Hell" begins with Lucifer (Tom Ellis) framed for murder and finally willing to allow Amenadiel (DB Woodside) to return him to Hell. 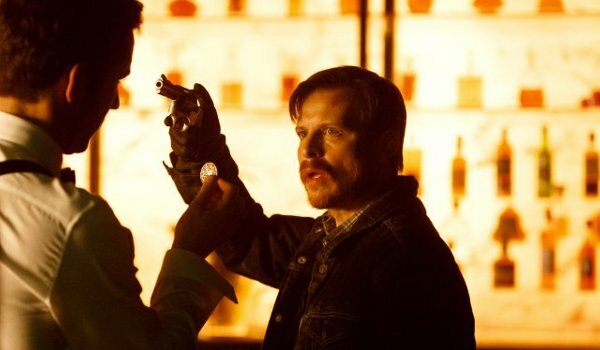 However, given the mess the pair have made with both Maze (Lesley-Ann Brandt) and Malcolm (Kevin Rankin), Lucifer's brother convinces him to stay around long enough to put things right. Although that choice nearly gets both of them killed, it also sets up the show's upcoming Second Season. 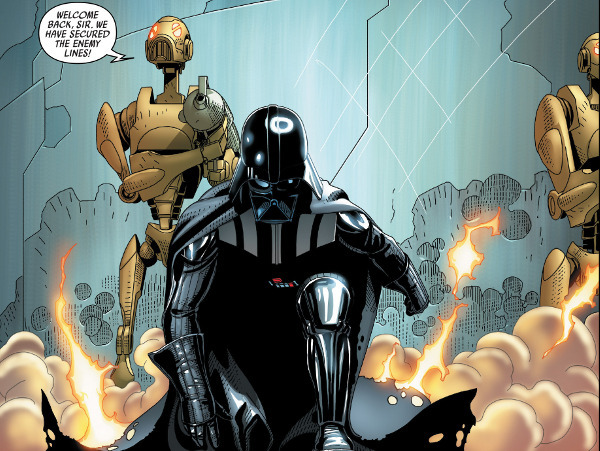 Darth Vader's mission on Shi-torum comes to a close as the Dark Lord of the Sith is able to fight off the attack of the force-sensitives Morit and Aiolin before returning to the front lines and offering Trios the Imperial support the new queen needs to put down the anti-Imperial rebellion on the planet. When Watson's (Lucy Liu) inside man turns up dead Morland Holmes (John Noble) becomes Sherlock Holmes' (Jonny Lee Miller) prime suspect. After fuming at Watson for keeping such a dangerous secret from him for weeks, Sherlock jumps into the case and, despite what he may wish to be true, quickly proves his father wasn't behind the hiring of an amateur hitman (Yul Vazquez). The truth, however, will shock him as the show teases the possible return of a fan-favorite character in the season's remaining two episodes. 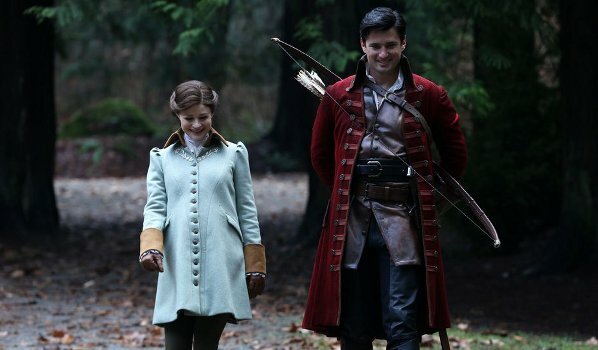 The relationship between estranged siblings is the theme that runs through both storylines in Once Upon a Time. The main story returns Cora (Barbara Hershey) as Regina (Lana Parrilla) enlists her mother's help to try and prevent Zelena (Rebecca Mader) from accepting Hades' (Greg Germann) offer. During the flashbacks of the episode we learn that the two sisters met once, well before their first run-in in Storybrooke. It's this revelation, and not Cora's sinister plan to wipe her daughter's memory, that eventually allows the sisters to call a truce. Despite her misgivings, Regina is now willing to trust her sister, but it appears Rumpelstiltskin (Robert Carlyle) and Peter Pan (Robbie Kay) have other plans. 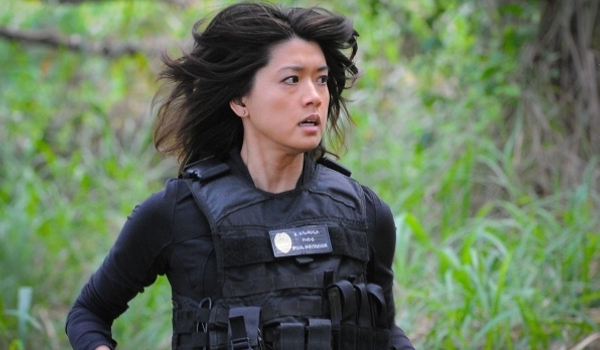 Adam's (Ian Anthony Dale) prison stay gets a bit more interesting with news of Gabriel Waincroft's (Christopher Sean) visit to the prison reaches not only Five-0 but also the new head (Michelle Krusiec) of the Yakuza in Hawaii who goes to great lengths to makes sure Adam turns up dead before working for her competition. When arranging a situation where the prison would have to evacuated and then hitting the bus Adam is on with an IED doesn't end up killing the target, Yakuza hitmen are sent into the jungle after Adam and five other fleeing convicts. Nearly a decade since the last time he appeared as the character, first trailer for Jason Bourne gives us Matt Damon as the world' most dangerous man who may now remember his past but that doesn't mean all of his questions have been answered. 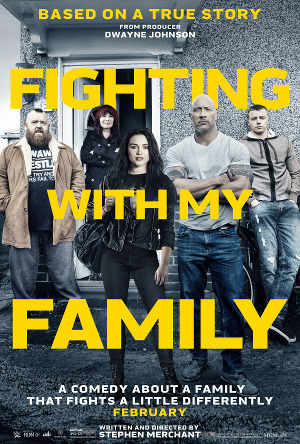 Julia Stiles, Alicia Vikander, and Tommy Lee Jones also star. It's unclear what, if any, relation the movie has to the 2012 spin-off The Bourne Legacy. The movie opens in theaters on July 29th. When various members of the team are targeted by the Time Lords' assassin the Pilgrim (Faye Kingslee), Rip Hunter (Arthur Darvill) leads his motley crew through time to protect their younger versions before the assassin can wipe them out of existence. When her plan is foiled (thanks to a convenient plot device that allows the assassin only to target each member a single time in their timelines), the Pilgrim decides to use the team's loved ones as hostages to force a confrontation. Of course it helps that the crew know exactly where in time and space the assassin plans to attack (based on some hazily-defined probability equations made by the ship's computer in another convenient plot device). In the calm before the storm, Reddington (James Spader) disappears following Lizzie's (Megan Boone) death. After a week in an opium den (making him a less-than-reliable protagonist) the FBI's most useful confidential informant makes his way to Cape May where he struggles to separate his current situation from the events of his last visit decades before. 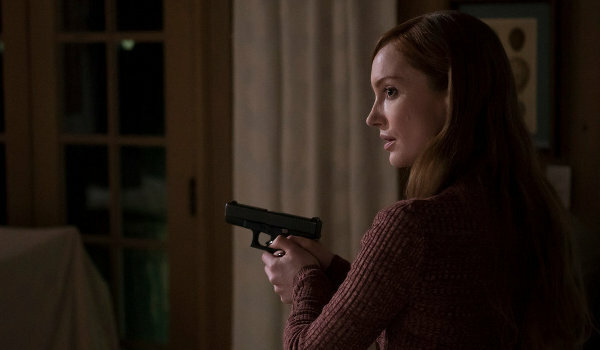 The appearance of a suicidal woman (Lotte Verbeek) who Red saves from drowning herself in the ocean with an army of masked assassins after her gives Reddington a momentary reprieve from his grief. 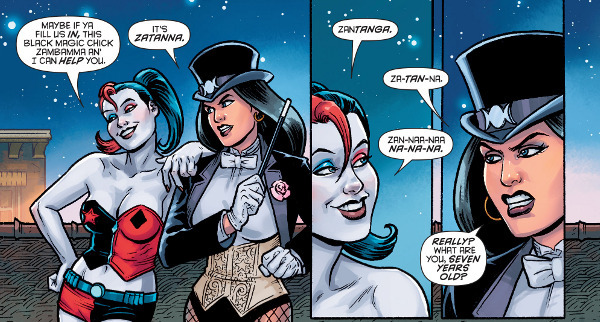 The latest issue of Harley Quinn's bi-monthly team-up book pairs Zatanna, who gets booked in Big Tony’s cabaret show the same day a trio of ghosts leave Coney Island and take up residence in Harley's building, with Harley. The plot is a little convoluted with Harley's house guests, Zatanna, the ghosts, the demon chasing the ghosts, the buggy monster, and the more powerful creature controlling the demon. That said, what works well is the interactions between the two women. For an episode centering around the group gathering together to watch Game of Thrones "The Viewing Party Combustion" has little to do with the HBO series. The viewing party is basically just an excuse to gather the group together as small fights, beginning with Leonard's (Johnny Galecki) railing at Sheldon (Jim Parsons) for another stipulation in the roommate agreement, break them into two separate factions. With only 12 days until it's return to television, we now have our first full-length trailer for the upcoming final season of Person of Interest. I wasn't too impressed with 2012's retelling of the fairy tale of Snow White. While visually elegant, I felt the story lacked heart and a willingness to truly embrace the fairy tale. 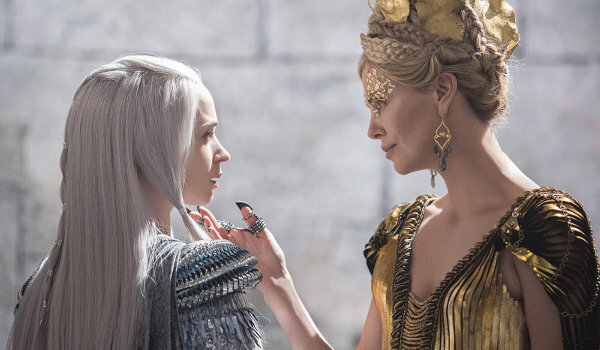 Dumping one of its two title characters for the sequel, The Huntsman: Winter's War brings back the Huntsman (Chris Hemsworth), the evil Ravenna (Charlize Theron), and two of the seven dwarves (Nick Frost and Rob Brydon) in a movie that is both prequel and sequel to the original. 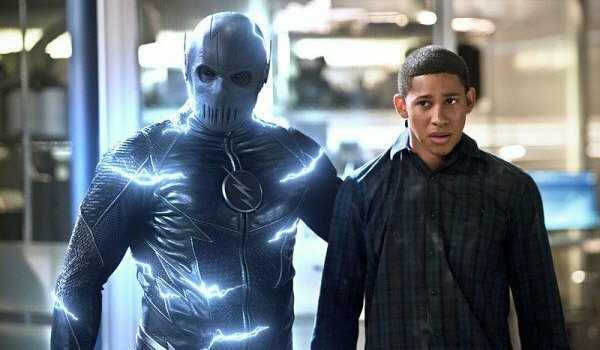 In an episode that begins with a flashback to Earth-2, "Versus Zoom" gives us darker version of the origins of Barry (Grant Gustin) as we witness the tragedy of Hunter Zolomon's childhood which would lead him down the path to taking on the personas of both Jay Garrick and Zoom (Teddy Sears). 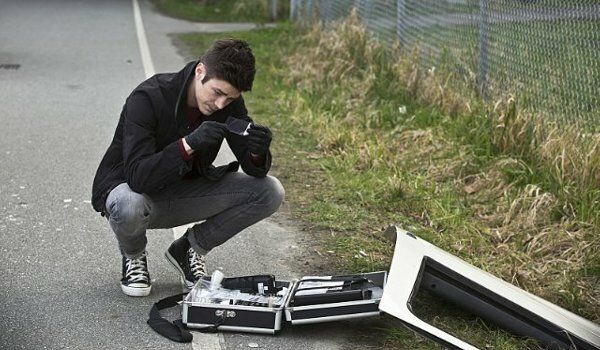 Opening with a sequence that helps explain Barry's short stint on Supergirl, the episode is mainly concerned with the Flash and his friends setting another trap for Zoom which, to absolutely no one's surprise, goes wrong. 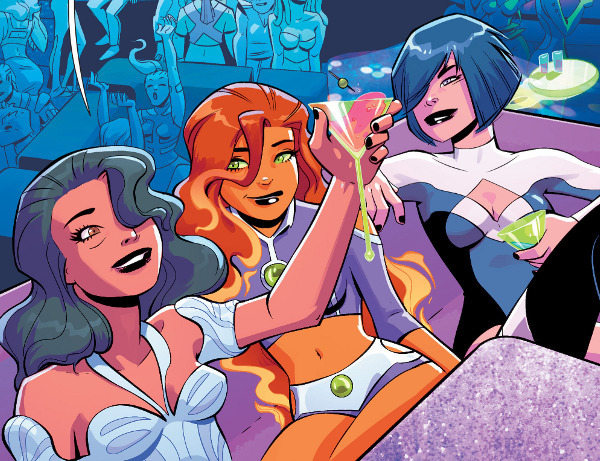 Starfire's time in the underworld of Strata comes to a close, but not before the hero gets to relax with Atlee and Stella and see just what the bizarre land has to offer. 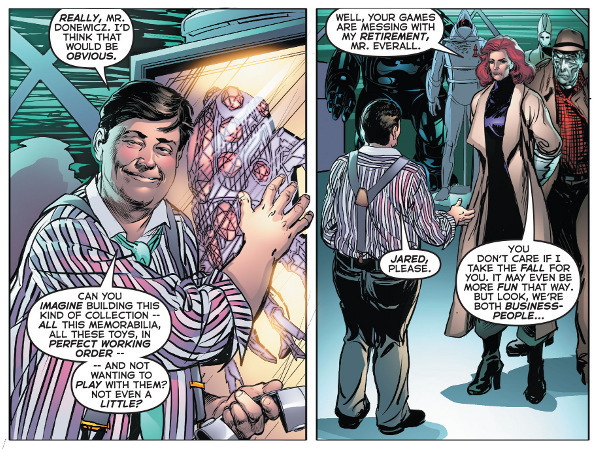 Mainly built around deepening the connections between Kory and her friends, is a dialogue-heavy issue without even a single real action sequence (if you ignore Kory's brief misunderstanding with an octopus). 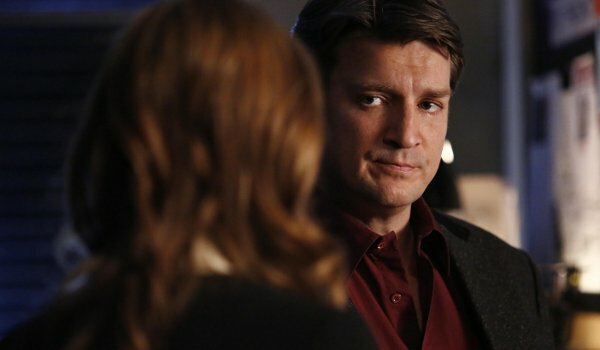 The recent news that Stana Katic will be leaving the show at the end of the season means should Castle be renewed for another year it's likely future episodes will look more like "Backstabber" in which Hayley (Toks Olagundoye) gets herself into a jam and relies on the help of Castle (Nathan Fillion), Alexis (Molly C. Quinn), and their friends at the NYPD. After being used by a former friend and colleague for a less-than-legal break-in, Hayley finds herself in the middle of a murder as her past as a spy catches up with her. Lucifer (Tom Ellis) is having far less fun than usual in the penultimate episode of the show's First Season. Still unclear as to how Chloe (Lauren German) is affecting his immortality, the devil attempts to put some distance between himself and his favorite police officer. His plan is fouled up by a group of devil worshipers who perform a live sacrifice. Increasingly angered at every aspect of the case, including humanity's view of him as a wicked goat-creature, Lucifer's temper gets the better of him more than once, eventually getting him sent home where he has to deal with his angry brother who has a few words for Lucifer about Maze's (Lesley-Ann Brandt) attempts to seduce and kill him. Moon Knight gets a new start in Marvel's latest reboot of the series. Moon Knight #1 opens with Marc Spector incarcerated in a mental hospital against his will where he's fed a continuous amount of physical abuse from the guards, electroshock therapy, and lies from a therapist I'm guessing doesn't actually have Marc's best interests at heart. Under a medically-induced haze Marc knows something isn't right, but his drug addled mind struggles for the truth. 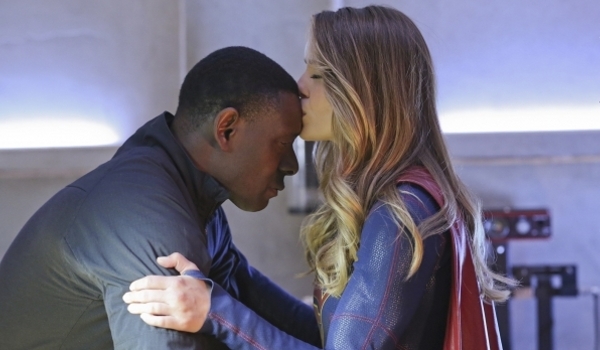 Quickly wrapping up both the threats of a Krptonite-wielding brainwashed Alex (Chyler Leigh) and the mind-controlled populace of National City by having our hero offer a little hope and appealing to the people's better angels, Supergirl's First Season finale delivers a more insidious threat when Indigo (Laura Vandervoort) convinces Non (Chris Vance) that if he can't control humanity he should wipe them out. Helping to promote her role in the new movie Mother's Day, Pretty Little Liars' star Shay Mitchell is the cover girl for the May issue of Flare. You can find a behind-the-scenes video and pics from the photo shoot inside. Holmes (Jonny Lee Miller) and Watson (Lucy Liu) are called in to investigate the odd occurrence of a staged fake murder leading to a double homicide. Th unusual staging of the crime scene, first by the victims and later by the killer offers an unique puzzle for the detectives to unravel. It's the B-story involving Watson's investigation into Morland Holmes (John Noble) which will prove to have more serious consequences for everyone involved. Ruby's (Meghan Ory) sudden arrival in the Underworld marks the return of one of my favorite Once Upon a Time characters, if only for a single episode. Featured in both the flashbacks and current storyline, Ruby's reasons for hunting down Zelena (Rebecca Mader) are explored following what the Wicked Witch did to Dorothy (Teri Reeves). Taking a queue from Regina (Lana Parrilla) it appears the only thing that can save Dorothy is true love's kiss. 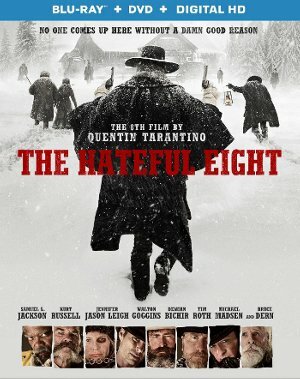 The Hateful Eight is neither the best nor least of writer/director Quentin Tarantino's oeuvre. Like most of his work, the film is highlighted by the mix of snappy dialogue and gruesome violence. And, sadly like much of his work, the film is hampered the filmmaker's indulgences (such as shooting a film shot almost entirely in close-ups on a sound stage in 70mm simply because he felt like doing so) which don't always serve the final product. The result is a film with terrific sequences, hampered by dark humor that doesn't always find the right note, which eventually overstays it's welcome. The film begins with the chance encounter of a pair of bounty hunters (Kurt Russell, Samuel L. Jackson) both fighting to get ahead of the oncoming blizzard. Before all is said and done the two men, along with one man's bounty (Jennifer Jason Leigh), the carriage driver, and a host of other strangers, will all attempt to seek shelter from the storm in Minnie's Haberdashery. 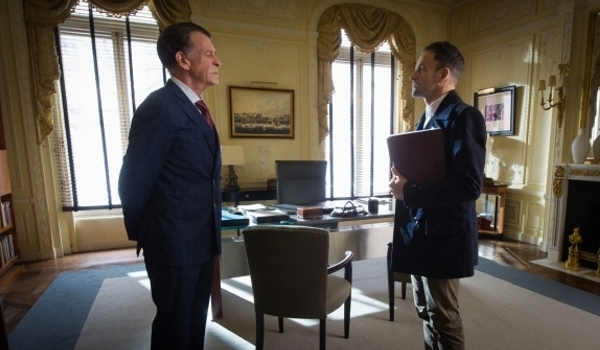 Events move quickly in the two-part "Mr. Solomon" as the show makes a major shake-up with the death one of its main characters. 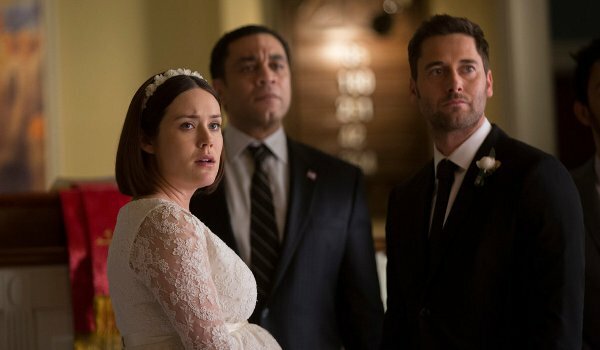 With Mr. Solomon (Edi Gathegi) freed by a new benefactor the old enemy crashes Lizzie's (Megan Boone) wedding to grab the former FBI agent. Eventually breaking free with Tom (Ryan Eggold), Liz's life on the run is short-lived as she goes into premature labor and the complications of giving birth lead to major consequences for the show. 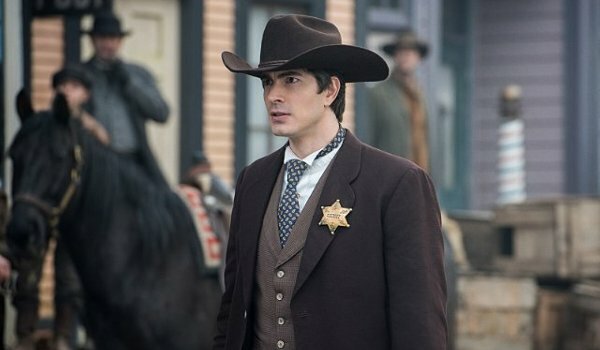 Hoping to hide out from the Time Masters, Rip Hunter (Arthur Darvill) takes his team to the Old West where Ray (Brandon Routh) and Martin Stein (Victor Garber) both find themselves tempted in unexpected ways and Kendra (Ciara Renée) runs into the person (Anna Deavere Smith) she least expects. Although better than that awful movie, the show's version of Jonah Hex (Johnathon Schaech) isn't one of the show's best reinterpretations nor does the minimal insight he gives in Rip's past justify his appearance here. 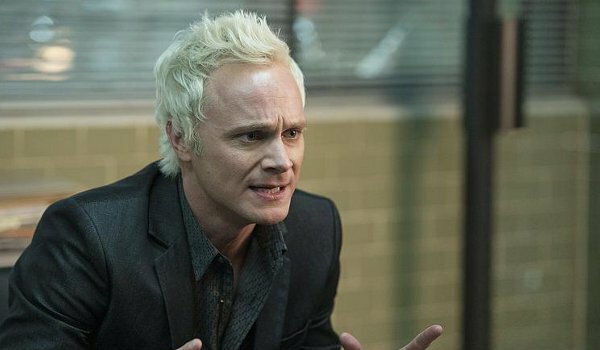 iZombie closes out its Second Season with a two-part finale that wraps up several ongoing storylines while introducing important new players for when the show returns next year (and getting off one final Rob Thomas joke before the curtain falls). With Major (Robert Buckley) arrested as the Chaos Killer and both Liv (Rose McIver) and Ravi (Rahul Kohli) temporarily suspended from the morgue, things aren't looking good for Team Zombie. Even if Bozzio's (Jessica Harmon) case is built completely on circumstantial evidence, Babineaux (Malcolm Goodwin) is finally able to tie Major to the Meat Cute massacre leaving Liv no choice but to come clean to the detective about zombies before the jailed (and brain-craving) Major reveals the existence of the creatures to the entire population of the local prison. A longtime fan of King Kong, I was curious to see what Netflix had in store for the giant ape in their new animated series Kong: King of the Apes. Opening with a plodding movie to set the stage for the shorter individual episodes, "The Adventure Begins" gives us the backstory of baby Kong being found and rescued from poachers in the near future where most wildlife is extinct. Rescued by a scientist and his twin sons Lucas and Richard, Kong eventually outgrows the family's ability to keep him secret eventually leading him to be the main attraction at a wildlife preserve or Alcatraz island stocked with other endangered animals and bio-mechanical robots in the form of dinosaurs and other creatures. 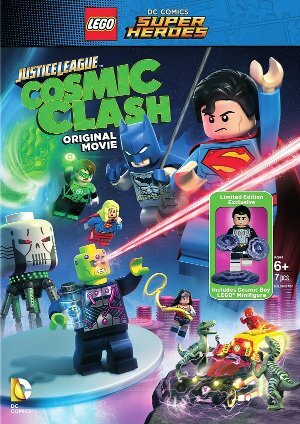 The weakest of the LEGO DC Comics Super Heroes straight-to-video movies to date, LEGO DC Comics Super Heroes: Justice League: Cosmic Clash nevertheless provides its share of fun when Brainiac (Phil LaMarr) arrives on Earth with plans to shrink the planet and add it to his collection. 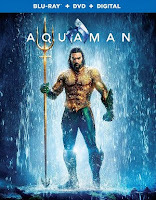 When the ensuing battle gets Superman (Nolan North), Wonder Woman (Grey Griffin), and Green Lantern (Josh Keaton) all trapped in the past, Batman (Troy Baker) will journey back to three different time periods, with the help of the Flash (James Arnold Taylor) and his Cosmic Treadmill, and remind his friends why they need to return to the present and help save their planet. Batman's entire time-jumping adventures are an inside joke to the events of Batman: The Return of Bruce Wayne mini-series which saw the Caped Crusader reborn in various forms such as a caveman and pirate. 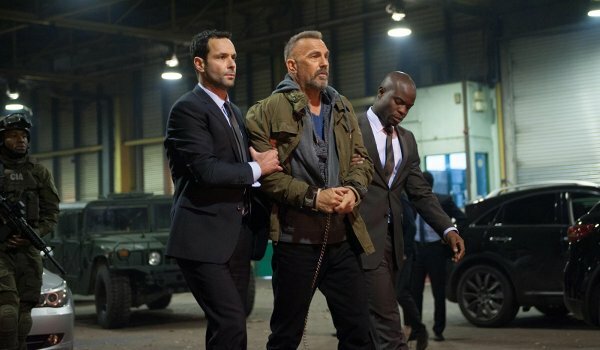 The premise behind screenwriters Douglas Cook and David Weisberg's Criminal is fairly ridiculous, even for B-movie action flick. Sadly, it's not nearly as entertaining as the pair's 20 year-old collaboration - The Rock. Set in present day, the death of Agent Bill Pope (Ryan Reynolds), who alone has vital information to keep backdoor access into the missile command of the United States out of the hands of a terrorist (Jordi Mollà), causes the CIA to attempt an experimental procedure to implant Pope's memories into a brain-damaged convict named Jericho (Kevin Costner). As with Alice in Wonderland, Maleficent, The Sorcerer's Apprentice, and 101 Dalmatians, Disney's latest attempt to offer a live-action version of one of their classic animated movies offers mixed results. Originally based on the stories of Rudyard Kipling, 1967's The Jungle Book took us into the jungle to follow the adventures of Mowgli the Man Cub (Neel Sethi), a young orphan raised by wolves. 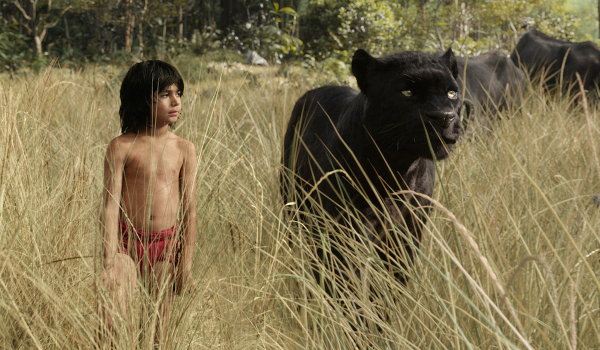 Rather than offer a straight reinterpretation of Kipling's work or a direct live-action version of Disney's animated feature, the new movie attempts to do both leading to an uneven story that is too dark for its lighter moments and simple bizarre when it tries to recreate animated sequences (such as Mowgli and Baloo singing "Bare Necessities" down the river) in realistic CGI. "Paradise Lost" turns out to be mostly filler and set-up as the episode explores the past of Gideon Malick (Powers Boothe) through extended flashback sequenes and sets the stage for nearly all of S.H.I.E.L.D. to be captured by Giyera (Mark Dacascos). With Daisy (Chloe Bennet) and Lincoln (Luke Mitchell) off on their own mission talking to a former member of Afterlife, it will apparently fall to these two and the rest of the Secret Warriors to save the lives of their friends. Will Eisner's The Spirit #9 takes us back to the Spirit's adventures in Tangiers while revealing the injured hero's first encounter with Sachet Spice who it seems took an immediate shine to the vigilante and didn't want him to leave... ever. As to just what the woman's plans are for our hero going forward, or as to what she and her father Mikado Vaas want in central City, we'll just have to wait for that to be revealed in the series remaining three issues. If the set-up for "Hard Knox" sounds familiar it's because Scorpion has used nearly the identical template before. 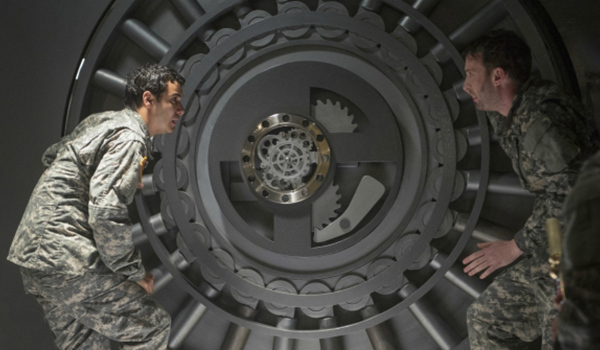 Tricked by a government official into what is obviously a very bad idea, Walter (Elyes Gabel) and his team are hired to break into Fort Knox to test out the facility's security. And yes, despite being tricked into similar circumstances in the past, no one on the team questions the validity of their assignment. Of course while this is going on Walter works out his troubled relationship with Linda (Brooke Nevin) while the show continues to tease the a romance between Paige (Katharine McPhee) and Tim (Scott Porter) that no one (I'm betting this even includes the show's writers) want to see happen. While still leaving much to be revealed, Black Widow #2 takes us back a week before the events of the first issue which began with with Natasha Romanova being chased out of S.H.I.E.L.D. with stolen files. 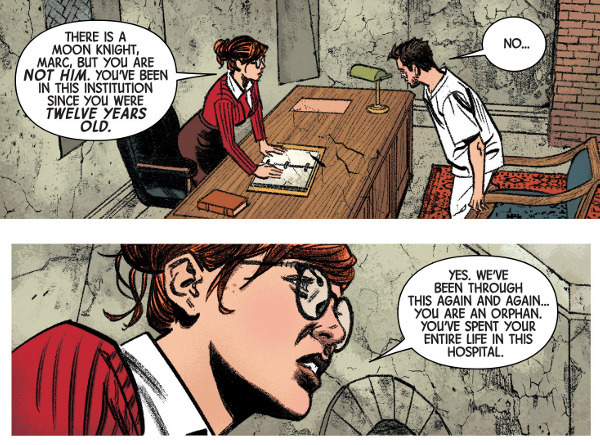 It's still unclear as to just what the Black Widow stole from S.H.I.E.L.D. or what specifically from her past the Weeping Lion is blackmailing our heroine with (which may be nothing more than a MacGuffin) in order to force the Widow to betray her friends. Revelations are in store for the former ruler of Hell in "St. Lucifer." Recieving unexpected pleasure in not taking advantage of Chloe (Lauren German), and spurred on by the murder investigation into a former bad-boy basketball player turned community activist, Lucifer (Tom Ellis) attempts to recreate the joy of doing good for his own selfish purposes. While going about it all wrong, and for all the wrong reasons, the devil will still get around to solving the murder of the week. However, it's how he solves it that proves the most interesting facet of the episode and picks up a thread I've been waiting to the series to tug on for most of its First Season. Originally released in 1967 The Jungle Book may not have aged as well as some of the older Disney films, but the spirit and legacy of the film has lived on through countless films from Disney (and other animation houses) over the years. 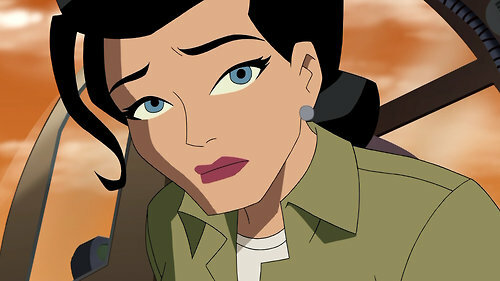 Several current filmmakers, including Brad Bird (The Incredibles, The Iron Giant, Mission: Impossible - Ghost Protocol), credit the movie for getting them interested in animated filmmaking. 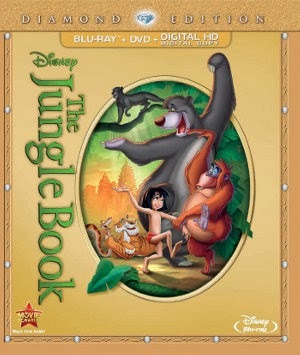 Re-released in 1978, I fond have memories of seeing the film in theaters, especially the musical sequence of "The Bare Necessities" sung by Mowgli (Bruce Reitherman) and Baloo (Phil Harris). It's hard not to see the film's influence in movies such as Robin Hood (which reused multiple character designs) and others years later particularly in The Lion King with its own animal jungle sidekicks singing a very similar philosophy about life. Castle (Nathan Fillion) and Beckett (Stana Katic) are on the case when sonar operator and part-time tomb raider recently-returned from Turkey is found tortured and beheaded in a New York apartment. 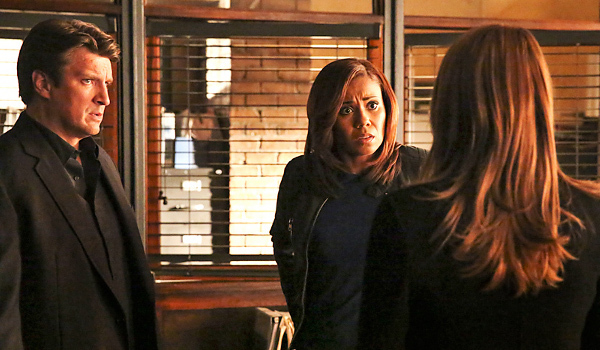 Learning that the victim had uncovered King Solomon's tomb whose prizes included a lamp of legend sends Castle's imagination into overdrive concerning genies and wishes while Ryan (Seamus Dever) and Esposito (Jon Huertas) try to focus on the more logical motives and suspects for the crime like both the victim's partner and the unknown financier of the dig. 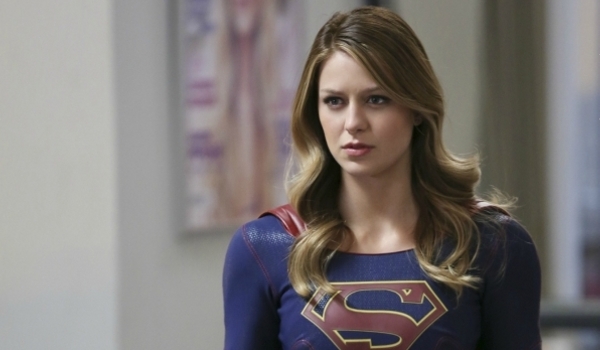 "Myriad" is a messy episode, especially given it's the culmination of Non's (Chris Vance) big plans for the planet and Supergirl (Melissa Benoist). With all of National City under Kryptonian mind-control, Supergirl offers not one but two reasons for Superman not to be around to help. The first, that the Man of Steel is off-world dealing with a crisis may be cheap but it at least makes sense. 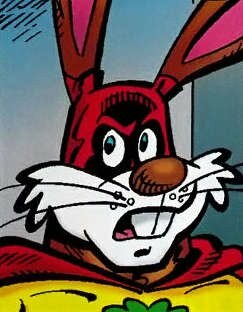 The second, that he shows up and falls under the mind-control because he was raised on Earth, is just goofy. The only ones not effected are Kara (who was a Kryptonian the machine was designed to effect, let's not forget), Non's soldiers (also Kryptonians), the prisoners from Fort Roz, J'onn Jonzz's (David Harewood), and the unlikely duo of Maxwell Lord (Peter Facinelli) and Cat Grant (Calista Flockhart). Hades' (Greg Germann) plans to continue to screw with the trespassers to the Underworld continue with an appearance from Belle's former flame Gaston (Wes Brown) who has been toiling in the Underworld ever since he was killed by Rumpelstiltskin (Robert Carlyle). Pitting the hunter versus the Dark One, Hades sits back and enjoys the show as Belle's attempts to appeal to Gaston's better nature (something her previous experience with the man should have taught her better) lead to the woman making a choice between the beast which is her husband and the monster who was once her fiance. 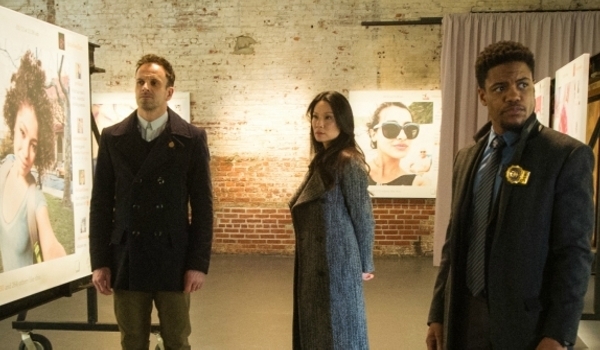 Elementary's two-hour event offers us two separate episodes connected by Watson's (Lucy Liu) discovery that she has a half-sister (Samantha Quan) who, while lying about her true connection to Joan becomes a client in need of Holmes (Jonny Lee Miller) and Watson's help in "All In" when the real estate agent's illegal poker game gets her marked for death. "Art Imitates Art" is only connected to the first episode through its B-story where Joan's natural curiosity about her father and new half-sister creates conflict between the pair. We now have a teaser trailer for Rogue One: A Star Wars Story, the first of the one-off Star Wars Anthology films. Taking place before the events of the original Star Wars, a small Rebel band attempts to steal the plans for the not-yet-completed first Death Star. Felicity Jones, Diego Luna, Riz Ahmed, Genevieve O'Reilly, Donnie Yen, Jiang Wen, Forest Whitaker, Mads Mikkelsen, and Alan Tudyk star. Rogue One: A Star Wars Story opens in theaters on December 16th. Writer/director Jeff Nichols' latest is an unusual movie more likely to appeal to sci-fi nerds than the general public. 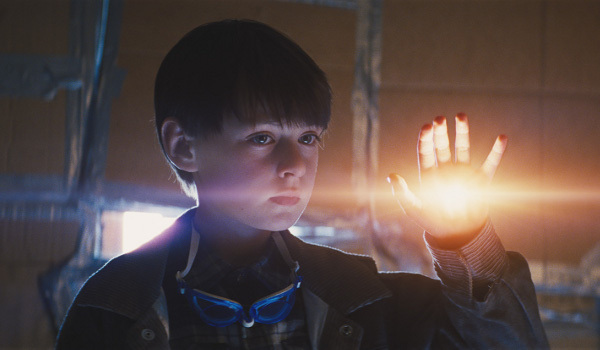 Midnight Special is a good science fiction movie with two major flaws which keep it from becoming the great science fiction movie that starts out with so much promise during its first half-hour. 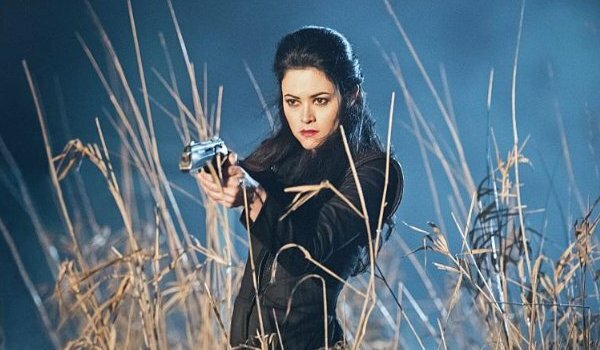 The latest episode of Arrow answers one big question while raising several others. More than once during "Eleven-Fifty-Nine" I wondered if I had missed an episode somewhere. 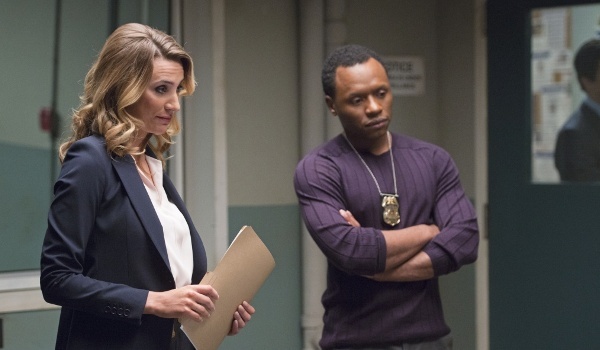 Yes, I remember the team letting Andy Diggle (Eugene Byrd) out of his cage and deciding to trust him but when did he become a trusted field agent of Team Arrow? And weren't we just seeing Malcolm Merlyn (John Barrowman) mock Damien Darhk (Neal McDonough) and telling the would-be conqueror that H.I.V.E. was leaving him in prison and moving on with their plans without him? Why, all of the sudden does Malcolm want to help Darhk? And, as for the Diggle storyline, is there anyone anywhere that didn't see how blatantly obvious his betrayal would play out? 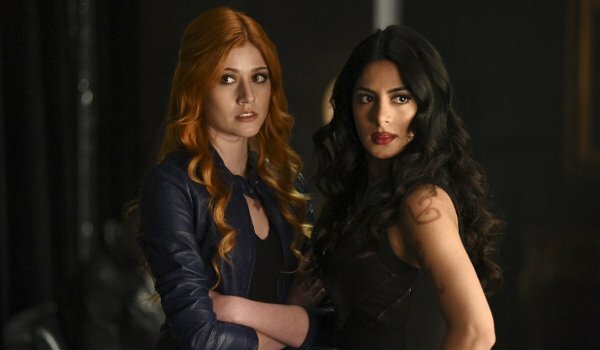 The First Season of Shadowhunters comes to a close with a finale that wraps up several themes of the show's first year while laying the foundation for next season. As Jace (Dominic Sherwood) struggles with the truth about his parentage, and not nearly enough about how just a few episodes he was macking on his sister, Clary (Katherine McNamara) and the other Shadowhunters discover Hodge (Jon Cor) has stolen the Mortal Cup with plans to deliver it to Valentine (Alan Van Sprang) and double their efforts not only to find Hodge but also go to whatever lengths necessary to free Clary's mother from her slumber so they might have a chance against Valentine. With the show's Second Season finale looming, things certainly pick up in "Reflections of the Way Liv Used to Be." Not only has Major (Robert Buckley) turned back into a zombie, but his secret work for Max Rager is discovered by both Ravi (Rahul Kohli) and Bozzio (Jessica Harmon). By the end of the episode zombie Major is under arrest under suspicion of being a serial killer and headed to prison where his current zombie status creates a serious problem for everyone involved.